Last week marked the end of another successful summer for the Hall-Hoag project. A total of 15 different students worked on the project this summer and were able to process and reorganize a large quantity of material in two phases. In phase one we continued the work from last summer. At that point we had process 1,100 of the 1,655 total boxes in the collection. Over the course of a little over a month we finished this phase. The work involved taking material out of the boxes it was originally placed in and then putting them into a new box corresponding the the letter of the alphabet of the folder label (organization names). As noted in an earlier post we ended up with the following box totals for each letter of the alphabet: A-102, B-58, C-165 , D-28, E-19 ,F-48, G-31, H-31, I-35, J-24, K-13, L-49, M-65, N-107, O-17, P-65 ,Q-1, R-41, S-72, T-26, U-56, V-14, W-59. X-1, Y-8 and Z-1. There are also 2 boxes that start with numbers, 21 audiovisual, 96 books, 54 clippings, 10 index cards, 107 correspondence, 12 photographs, 29 unidentified, and 38 oversized material boxes. Through this reorganization we also condensed the collection a bit and eliminated 70 boxes that were no longer needed. In phase two we focused on one individual letter at a time and put all of the material for that letter in perfect alphabetical order. 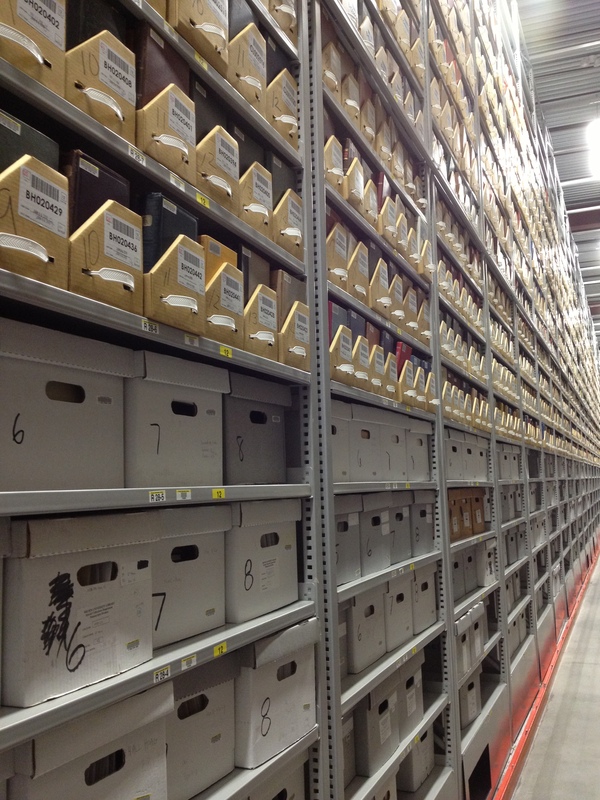 This process also involves updating the inventory for each folder with the final location in which it will reside. Once this step is complete the boxes go back in the storage module at the library annex and will only be accessed again for research purposes. We completed the following letters during the second half of the summer: B, D, F, G, H, L, R and S. Overall this represents a little less than a third of the entire collection. Throughout the next two semesters and next summer we will complete this phase of processing. I want to thank my students for their hard work and I look forward to another great year working on this project. I am also excited to be back in the newly renovated John Hay Library. 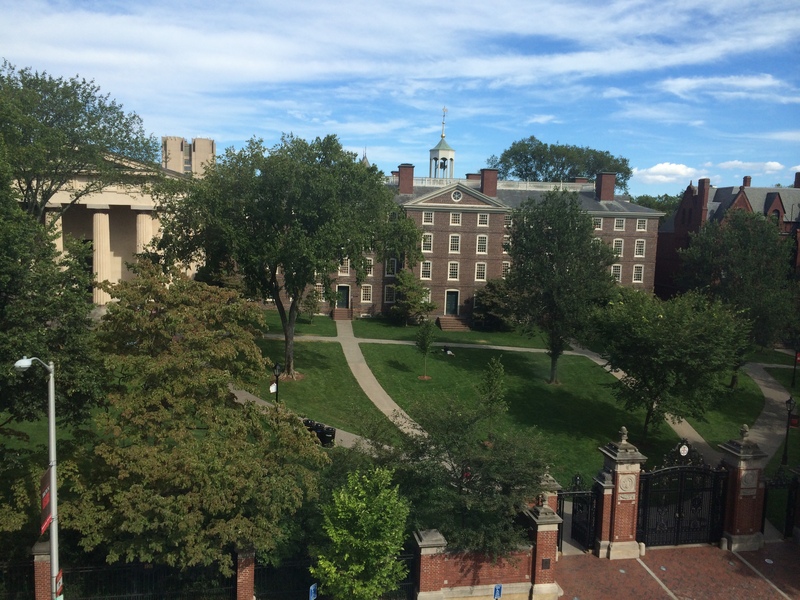 Although it was great working out of the library annex you cannot beat this view.